JSE listed Allied Electronics Corporation Limited (Altron) today announced the appointment of Mr Mteto Nyati, a respected ICT executive and business leader, as its new Group Chief Executive. Nyati was previously the Chief Executive Officer for MTN South Africa and brings a wealth of experience to the Group. He joined MTN as Group Chief Enterprise Officer in October 2014, after working at Microsoft South Africa since 2008. At Microsoft, Nyati served as Managing Director for the South African operations, and also had a short stint as the group’s General Manager for the MEA Emerging Regions. Prior to that he was the Director of IBM Global Technology Services at IBM South Africa. Nyati holds a BSc in Mechanical Engineering from the University of KwaZulu-Natal. He also studied at Yale University. In 2004, he was named a Yale University World Fellow. Nyati will assume responsibility as Altron Chief Executive no later than 1 July 2017. Venter will step down as Chief Executive in due course. He will remain on the Altron Board as a Non-Executive Director to continue to provide his wealth of knowledge and experience to the Group. According to Mike Leeming, Chairman of the Altron Board, the appointment of Nyati followed a rigorous recruitment process. “The Altron Board embarked on a global search for a suitable candidate with the necessary global leadership experience and business orientation with a solid track record in the ICT sector. Mteto has in-depth blue chip technology experience having been at IBM for twelve years and six years at Microsoft prior to joining MTN in October 2014. He has extensive experience in both the business-to-business and business-to-consumer markets. We are extremely pleased to have him on board and are confident that he, the board and Robbie will work well together during the handover phase,” said Leeming. With respect to the enormous contribution made by Venter to the Altron Group during his tenure as Chief Executive, Leeming had the following to say: “Robbie has been with the Group for 27 years, 16 years of which have been as Chief Executive. He has been of great assistance in implementing the Group’s business strategy to focus Altron in areas where it has the resources, competence and skills to leverage a competitive advantage through the disposal of certain material non-core assets. We look forward to his continued contribution to the Altron Group as a Non-Executive Director on the Altron Board,” Leeming said. According to Nyati, he is honoured and pleased by the opportunity to lead the Altron Group. “To be appointed to the helm of an organisation that has been in business for 51 years is both an honour and a challenge. It is an honour in that Altron has a strong legacy of leadership and innovation in the markets in which it plays. It is a challenge as the information technology and telecommunications sectors are fast evolving and in order to stay ahead of the curve, organisations like Altron continually have to re-invent themselves in order to stay relevant and competitive in the changing business landscape. I look forward to working with Robbie during the transition period and engaging with the Altron Board and all employees of Altron as we take the Group into the next phase of its growth,” said Nyati. MTN confirmed that Nyati will be stepping down as the CEO of MTN SA with effect from 13 March 2017. The company also thanked him for his role at MTN SA. 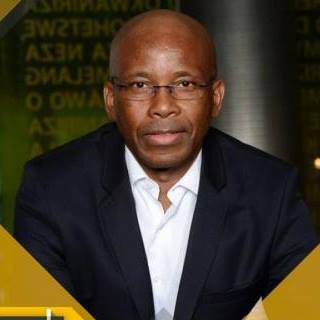 The company announced that Godfrey Motsa will replace Nyati as CEO of MTN SA with effect from 13 March 2017. The incoming Group CEO & President of MTN, Rob Shuter said he is delighted that Motsa will assume the position of CEO at MTN SA. “We have worked well together in the past and I know he brings considerable experience and value to the position,” he said. The Executive Chairman of MTN Group, Phuthuma Nhleko said the appointment of Motsa hopefully brings to finality seminal management changes that the Group has had to undertake in the last 12 months. 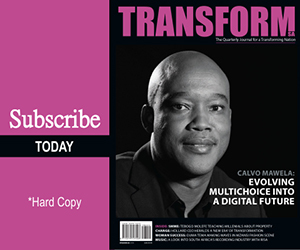 “I would like to take the opportunity to thank Mteto for his contribution to MTN SA and wish him the best in his future endeavors,” said Nhleko.